Stevenson vs Jack represented one of the best and most interesting match-ups to be made in the light heavyweight division for some time, not to mention a somewhat unexpected one. 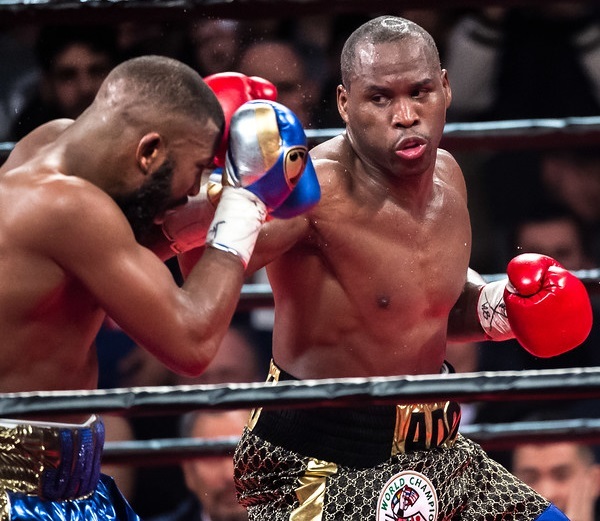 That is to say, for more than three years, whenever a intriguing tilt involving Adonis Stevenson came to the fore, boxing fans could almost guarantee that, for whatever reason, the contest would never happen. 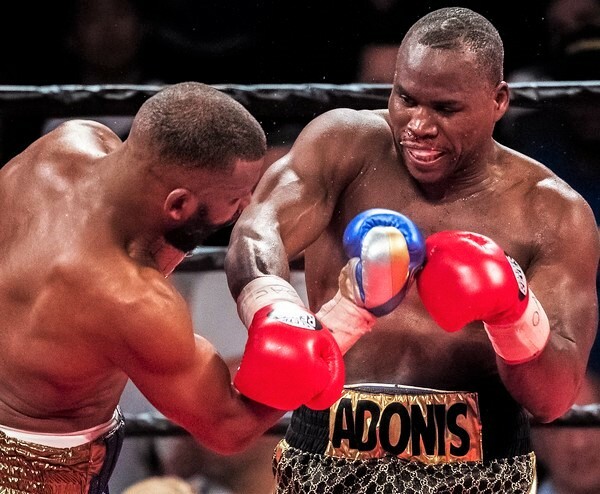 Bernard Hopkins, Jean Pascal, Sergey Kovalev, Joe Smith Jr., and, most recently, Eleider Alvarez, have all been touted as likely opponents for Stevenson, but instead of facing such formidable challenges, Adonis instead has knocked over a series of long-shot underdogs. Thus, talk of a title defense against Badou Jack was greeted with a chorus of “we’ll believe it when we see it” type pronouncements. That aside, no one could question the fact that Stevenson vs Jack represented an excellent match-up as Badou was coming off an impressive stoppage of Nathan Cleverly, a win that proved the former super middleweight champion was now a legit light heavyweight. It also was a match involving few promotional hurdles as both fighters were aligned with Al Haymon and Showtime. Or so we thought. Stevenson vs Jack briefly appeared to be in jeopardy when Groupe Yvon Michel was, in a most bizarre circumstance, forced to move it at the last possible minute from the Bell Centre in Montreal to the Air Canada Centre in Toronto. But, credit to both Michel and Lee Baxter, they managed to put the pieces together and the show came off with no serious hitches in a city which has hosted very few such events. Stevenson vs Jack represented perhaps the most high-profile boxing match to be held in Toronto since Ali vs Chuvalo, way back in 1966, though, in the end, the attendance figures failed to reflect that. 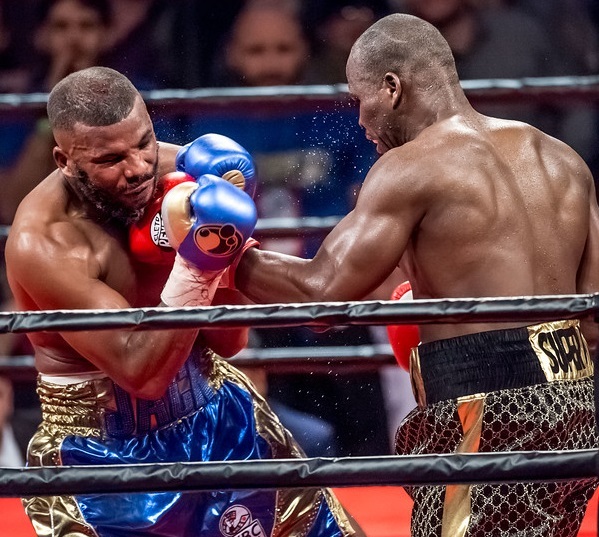 The bout may have gone to the scorecards and Stevenson may have retained his title thanks to a majority draw, but make no mistake, it was the champion’s vaunted punching power which saved him from defeat. 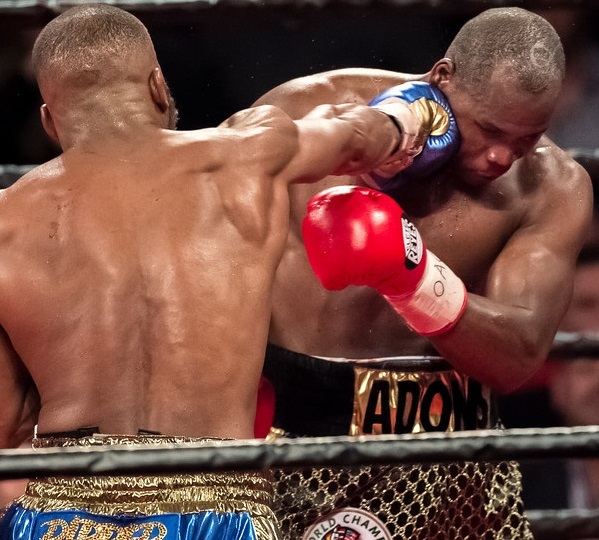 The tonnage in his deadly left hand is what motivated Jack to box with extreme caution in the opening rounds and allowed Adonis to get out to an early lead. And it was one of those lefts landing flush to the challenger’s mid-section in round ten which derailed Jack’s momentum and prevented him from taking total control of the fight. These two factors effectively decided the outcome, as the rest of the rounds were, for the most part, controlled by Badou. And that had less to do with power and more to do with two other pertinent factors: Jack’s excellent positioning, which neutralized the southpaw champion’s left hand, and Stevenson’s age. By positioning I’m referring to Badou’s control of the angles between the fighters, something he has a knack for when it comes to southpaws and as he showed in his match with Lucian Bute in 2016. 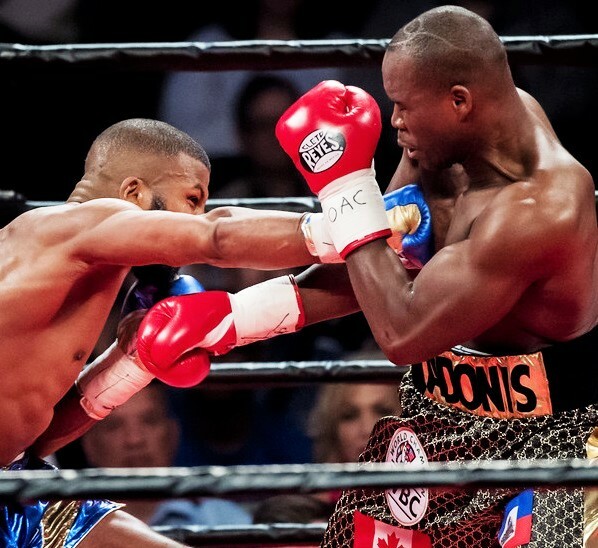 Badou repeatedly set up camp to Stevenson’s right while moving to his left and keeping his left foot to the outside and his head near the champion’s shoulder. 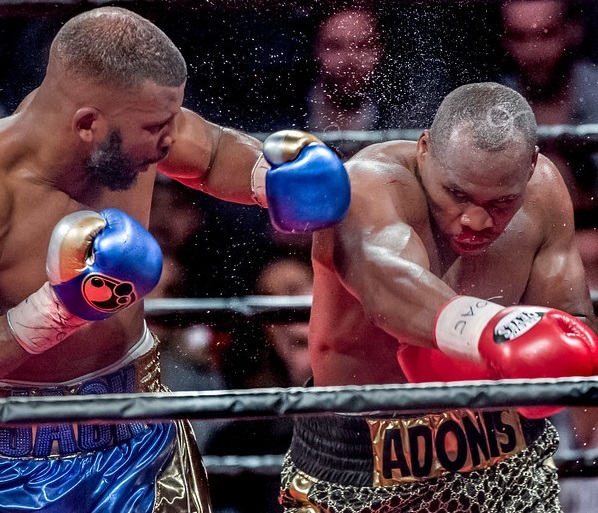 This positioning all but made it impossible for Adonis, as it did for Bute, to get off his straight left. And when he did throw it, he was often forced to reach or lunge with it, thus negating its power. A wary Jack surrendered the first three rounds to the stalking Adonis, something Badou no doubt regrets now. In the fourth he started letting his hands go more and scored with some clean right hands. 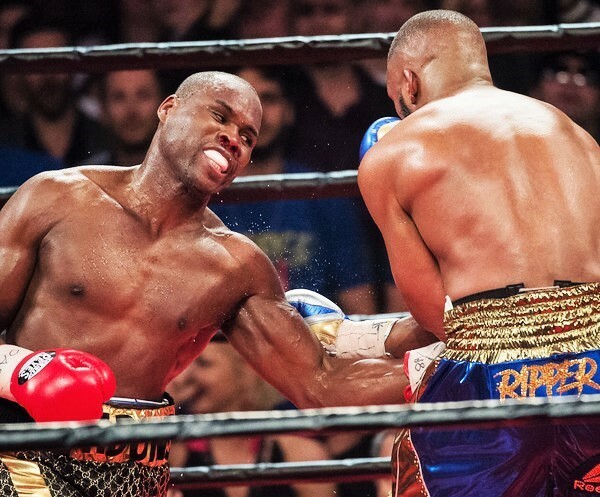 By round six Stevenson was showing signs of fatigue, and there was now no doubt the champion, who appeared to be carrying some serious extra poundage, was performing with a sluggishness we had never seen before; that can happen when you’re a 40-year-old fighter. Round seven was the turning point. Suddenly Jack was the boss in the ring, trading with Adonis and getting the better of it, stunning the champion with some hard rights to the head. Stevenson was now getting out-worked, while absorbing heavy punishment to the body. Some of those shots from Jack strayed low and he was issued the appropriate warnings, but the fact Adonis was complaining to the referee about it spoke volumes about who was getting the better of who at this point in the contest. 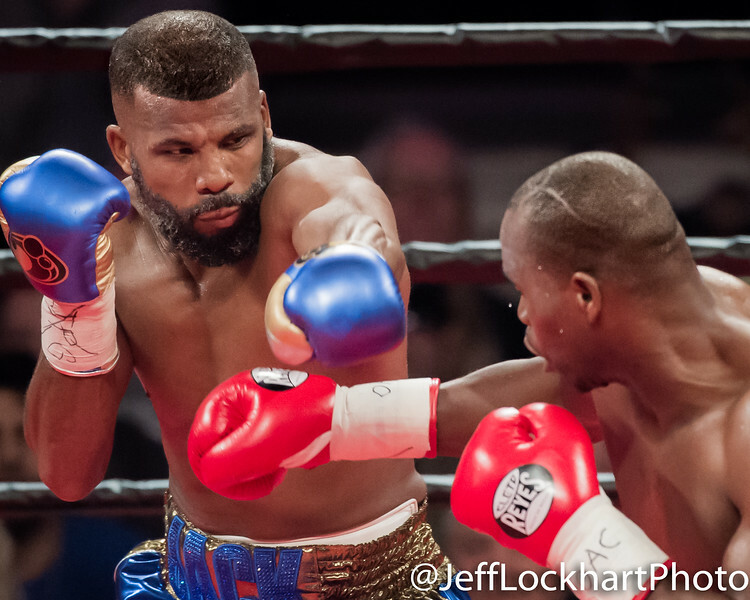 But just when it appeared Stevenson’s title was slipping away, his God-given power saved him in round ten. A left to the mid-section landed with authority, possibly to Jack’s solar plexus, and it was all the challenger could do to stay on his feet and make it to the end of the round. A clearly depleted Adonis rode the momentum into a riveting round 11 which saw both men hurt and which set up a crucial final stanza. All had to be aware the match was still up for grabs as the fighters touched gloves to start the last round of what had started off as a tepid jousting contest but had evolved into a thrilling war of attrition. 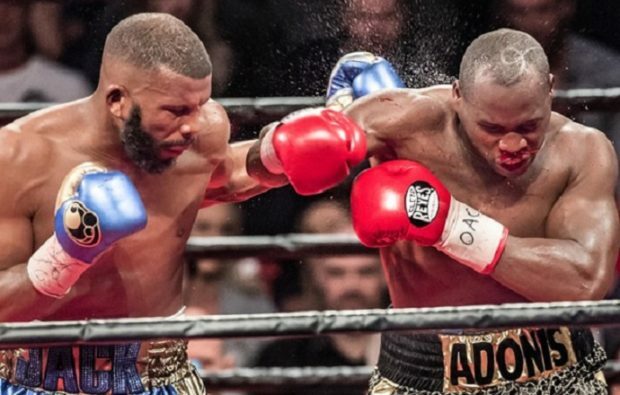 Any doubts about Badou Jack being a legit light heavyweight and carrying his punching power to 175 were erased once and for all when one saw Stevenson barely able to survive to the final bell. Instead of Adonis, the presumably bigger man, dominating physically and controlling the fight and threatening with his awesome power, it was in fact Jack who had the champion on the run in the final seconds. Rarely has one seen a boxer more grateful to hear a bell than Stevenson clearly was as round 12 came to an end. Adonis was so exhausted he could barely react when the draw verdict was announced and the hands of both boxers were raised. Badou exults at the final bell. 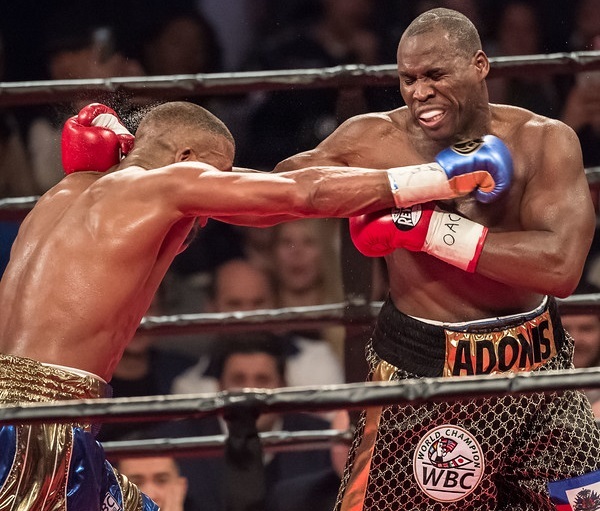 The draw result is of course unsatisfying for everyone, except perhaps those closely aligned with Adonis as he retains his one and only bargaining chip: the lineal and WBC light heavyweight championship. The outcome cries out for a rematch and all concerned appeared to be in agreement on this at the post-fight press conference. Long-suffering boxing fans are of course girded for Stevenson somehow avoiding it, but if everyone’s public statements, including his, are to be believed, Stevenson vs Jack II is almost certain to happen next. Though with fewer than five thousand tickets sold last night, there’s zero chance that fight is happening in Toronto. 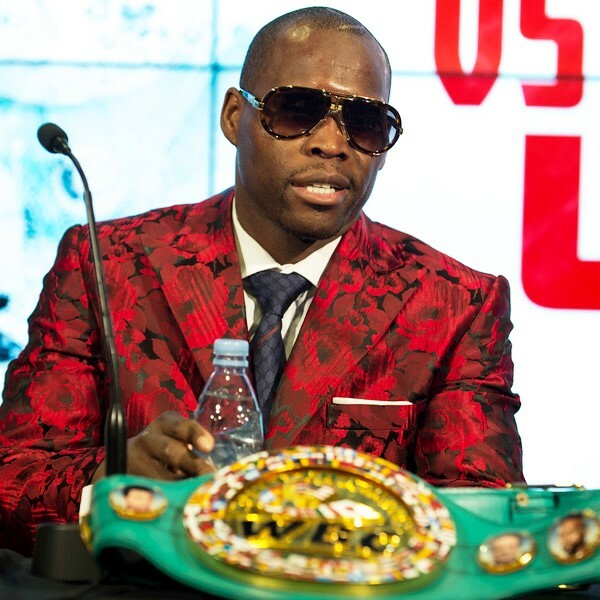 Adonis at the post-fight press conference: rematch, please! 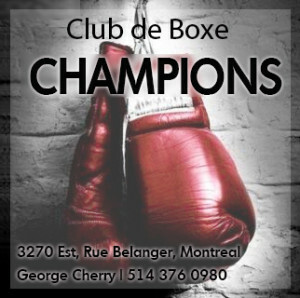 Undercard recap: World ranked heavyweight Oscar “Kaboom” Rivas (24-0) pounded out a ten round unanimous decision over Herve Hubeaux (29-3) in a clash for the NABF title on Saturday night. Scores were lopsided for Rivas. Welterweight contender Mikael Zewski (31-1) scored a ten round unanimous decision over Diego Gonzalo Luque (21-6-1) in a fight which was interrupted for several minutes after a fan tried to storm the ring. Toronto welterweight Kane Heron (11-0-1) and Mexico’s Ivan “Zurdo” Alvarez (27-9-1) had to settle for a draw after eight highly competitive rounds. 2016 Olympian middleweight Christian M’Billi (10-0, 10 KOs) continued his impressive run with a third round stoppage of Marcos Jesus Cornejo (19-3) after Cornejo’s corner wisely signalled surrender. Cornejo represented a slight step up in opposition, but M’Billi demolished the Argentinian with relative ease, as he has all of his opponents thus far. 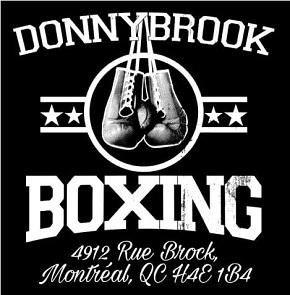 Undefeated Montreal middleweight Patrice Volny (11-0) made short work of Janks Trotter, stopping him in round one. The 28-year-old Volny, who had a substantial height and reach advantage, floored Trotter with a stiff jab and the referee stopped after Trotter (10-5-2) got to his feet but then lost his balance and fell a second time. 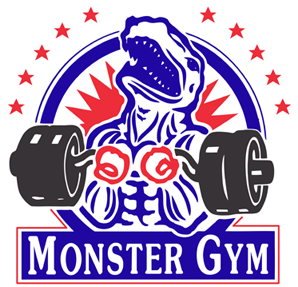 Others winners: Ontario heavyweight Kristian Prenga (8-1), Montreal super lightweight Mazlum Akdeniz (4-0) and Toronto light heavyweight Nick Fantauzzi (4-0). Badou felt he won. Stevenson’s camp wasn’t complaining for obvious reasons. But it could’ve been a draw. 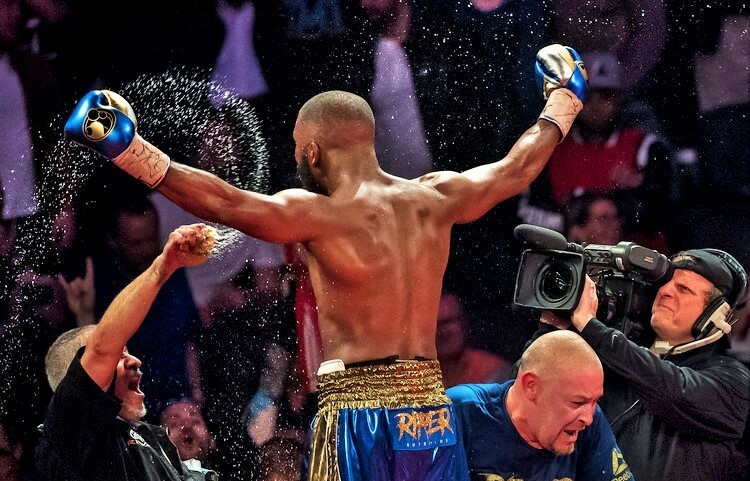 This was an over-all close fight, lots of give and take, strategy and tactics, spurts of energy, followed by a lot of clenching, Stevenson clenching and holding way more-so than Badou Jack with totally no comment about his holding by the ref who only warned Jack for holding when both fighters resorted to the clench throughout. One of the talking heads pointed out that all three judges gave Jack the 12th round, thus giving him the draw. But it could also be said that Stevenson won the draw when, trailing in the 10th round, well beat-up by Jack to that point and gassed, he landed the big body shot that obviously hurt Jack, backed him up and the effect carried over into round eleven. Jack could be blamed for being too cautious in the early rounds, giving up way too many from trying to stay away from the big left hand. Conversely, Jack moved to Stevenson’s right effectively, as one must with a heavy hitting southpaw, and Jack kept the big left KO shot from happening. A re-match is certainly in order. It was a really entertaining competitive fight. Badou exposed some weaknesses and lack of stamina on Stevenson’s part that Badou should do a better job of exploiting next go-round. Obviously Jack showed that Stevenson is no “Superman” and is getting old. But I wouldn’t say that Stevenson is all the way washed up, as some are saying on the blogs and comments, and if Jack isn’t as careful to avoid that big left in the re-match as he was last night. Regardless of his age, any light heavy with a record 29-1 with 24 KO’s (mostly with the left glove) is not to be underestimated. And home-boy is not just a puncher, like Sonny Liston, as Stevenson demonstrated last night, he can box-as you fight fans should all know, a hard punch to the liver can result in a knockout-we knew in round 10 when he landed that heavy straight left punch to Badou’s midsection and Badou’s legs got rubbery as he immediately backed up, that Stevenson hurt Badou. Badou got even in the 12th where he won the draw. But Badou should start faster and back him up pop him in the face and head, bust up that mid-section, way earlier in the re-match. Me, I agree with those true fight fans who love a good tactical match “That was one hell of a fight!” A re-match, maybe even a trilogy, is totally what the fans want and the way it should be. Don’t duck this one Stevenson!